p. 68) and as “paying attention in a particular way: on purpose, in the present moment, and non-judgmentally”’ (Ruth Baer – http://www.wisebrain.org/papers/MindfulnessPsyTx.pdf). Every week there seems to be a new article about mindfulness, for adults and children. These include articles examining the uses of mindfulness in educational settings to help improve educational outcomes for children. Mindfulness put simply is the process of being present in the moment. It has been touted as a way of reducing life’s stresses, anxieties and overall improving mental health. Whilst mindfulness is often fostered through meditation, it can also be fostered by observing the local area, the sounds of the birds, the colours in the trees and shadows, and the rise and fall of the chest when taking deep breaths. Why is this an important concept for children? Research has examined the importance of early learning in long term benefits for the development and well-being of children. So developing the ability to be mindful can help set up great habits for life. 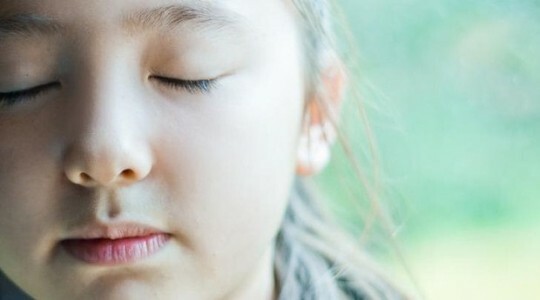 Mindfulness can provide children with a toolbox for dealing with challenges and stresses they face as they engage with the world, and grow into the social beings of tomorrow. The ability to regulate your own levels of stress and anxiety can be a valuable tool in building resilience and problem solving abilities. Research is also showing that mindfulness practices of meditation and relaxation can help improve classroom behaviour and concentration therefore increasing educational outcomes observed. For example, the act of taking time out to focus on deep breathing can calm a class that is otherwise unable to focus on prescribed task. A gratitude circle may help alter the perspective of a group of pre-schoolers who are constantly on the search for new, bigger and better. Children learn by observing those around them with more experience; their families, friends and educators tend to be the biggest influences on children’s developing skills. Children are able to practice and hone the skills they have witnessed and over time will develop a variety of skills to build their emotional intelligence toolbox. How can we be more mindful as early childhood educators? As early childhood educators, our day is full of tasks including cleaning, planning, observing, evaluating and most importantly engaging. All of these tasks can conflict with each other and can lead to stress and anxiety. Whilst practicing meditation and building our own toolbox for dealing with stressful situations is vital, so is being fully present in the moment and engaging with children. This can be difficult when you are planning your next learning experience, documenting the child’s learning and supervising the learning environment. Examining how we plan and document can streamline the processes. Using Kinderloop can allow more time for meaningful interactions in the present and reduce the overall stress experienced by educators when completing their documentation and planning. By reducing this stress educators are better able to be present in their interactions and sharing their happiness with the children in their care. Mindfulness is an emerging concept in modern educational settings and research is suggesting can significantly improve outcomes and wellbeing of children and educators as they explore the path to positive emotional intelligence together. This post has been a very brief look at the world of mindfulness in early childhood education. There are a number of interesting articles in both popular media and scholarly literature.